Devs Crack Open Siri Protocol That Could Lead to Support For Other Devices, Even Android! Applidium, the team of developers behind iOS applications such as Analytics, Falldown 3D, and VLC, claim to have cracked open the protocol for Apple's new intelligent assistant, Siri. While the feature is currently exclusive to the iPhone 4S, the hack could open up support for other iOS devices and even Android-powered smartphones! In fact, using their method, Siri could be hacked to run on all sorts of different devices… in theory. 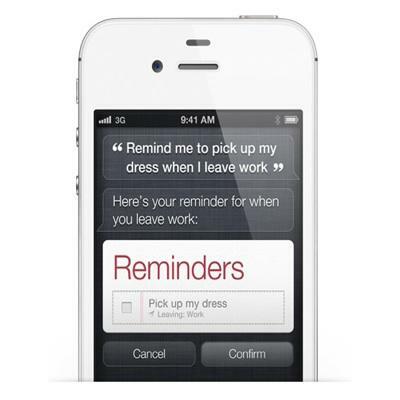 However, there are a few obstacles that still get in the way of Siri's unofficial expansion. Applidium managed to decipher Siri's protocol by setting up a custom SSL certification authority, adding it to their iPhone 4S, and using it to sign their own certificate for a fake server at guzzoni.apple.com. This allowed them to record the commands that Siri sends to Apple's servers. Applidium found that Siri will only return results to a device with an iPhone 4S identifier, which is why all the other Siri hacks we've seen have been unable to communicate with Apple's servers successfully. (This is a unique code that Apple assigns to its iOS devices.) But the device doesn't necessarily have to be an iPhone 4S. For example, you could use an iPhone 4S identifier to get Siri working on an Android smartphone, or an iPad, or an iPod touch, or a Mac — you just need the code. Developers could also use the hack to implement Siri support into their own, third-party applications, meaning Siri could control more than just Apple's own apps. Another interesting thing that Applidium found is that, "The protocol is actually very, very chatty. Your iPhone sends a tons of things to Apple's servers. And those servers reply an incredible amount of informations. For example, when you're using text-to-speech, Apple's server even reply a confidence score and the timestamp of each word." Unlike a number of other developers who have claimed to crack Siri, Applidium have published all of their findings to their blog, along with the tools they used for their hack, so that anyone can have a go. My guess is that Applidium's findings, along with their tools, will lead to a number of third-party applications, which will only be available to jailbroken devices, that will support Siri commands just like the Messages, Reminders, and Calendar applications on the iPhone. You should also look out for Siri ports for Android. Would you like to see Siri working on devices that don't feature an Apple logo?